What would it take to bring a little bit of modern magic into your everyday life? 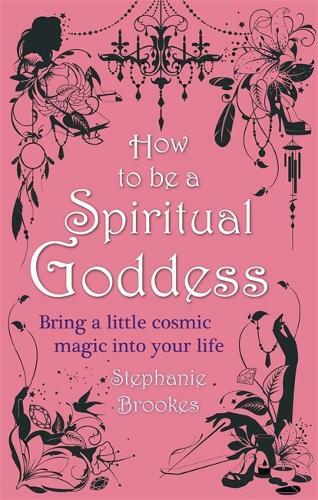 In How to be a Spiritual Goddess, Stephanie Brookes demystifies modern spirituality and reveals the first steps to understanding what it can do for you. No crystal ball required! Full of fresh ideas, this essential guide helps you discover exciting new ways to connect to the world around you and to discover your own inner confidence. We are all born with an inherent psychic ability and each chapter contains handy 'how to' exercises to help you instantly incorporate spiritual practices into your life with the ease of putting together a brand new wardrobe - simply find a fun, perfect fit that is uniquely right for you. From aura reading and stress-busting meditation techniques, to consulting your spirit guide or finding your soul mate - Stephanie will help you become spiritually savvy and equip you to survive in today's 'material' world. After all, spirituality often has to be fitted in between a work deadline, a date and shopping with friends! And that's exactly the way it should be.